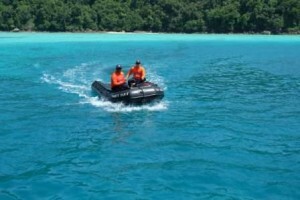 Noon and I went to Surin Islands yesterday for a visit. Surin Islands have been down with the number of tourists ever since the tsunami tragedy in 2004. 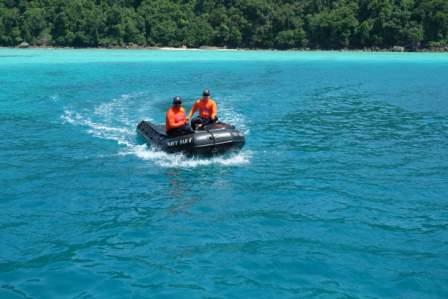 Hence, we are here to call all the nature-lovers out there that the Koh Surin Island is still a wonderful island for a perfect water adventure! The sea reflected so much of the bright clear sky! I was completely overwhelmed by its beauty. I enjoyed walking into the crystal clear waters and feeling the luscious waves gently splashing around my ankles and gradually decreased into soft waves sweeping on the sandy, grainy shore. I saw little crabs and small fishes that swim in groups and whenever it sensed a person’s presence, they swam all out creating a beautiful pattern! Stunningly beautiful. I could not help but to be in total mesmerized by its alluring artistry in every step I made. In the afternoon, we had a delightful lunch with the staff members. The food is one of Asian’s exquisite cooking! Every bite was absolutely scrumptious! I couldn’t resist asking for one more set of rice. Yeap, it was that good! Are you a camping-type of person? 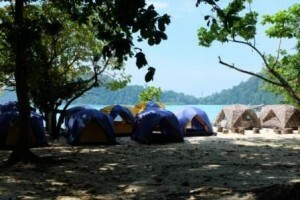 Guess what, you can have camping just next to the crystal clear waters! I was so excited; I couldn’t wait to go for a camping there soon! Just imagining a sky full of stars in a dark peaceful night, accompany by sound of waves is like serenity at its best! Due to the li mit of time, Noon and I did not have the chance to go for snorkeling or scuba diving. But that’s okay! There’s always next time and while I am still here doing my internship, I make sure I try every possible ways I can to enjoy my stay here. 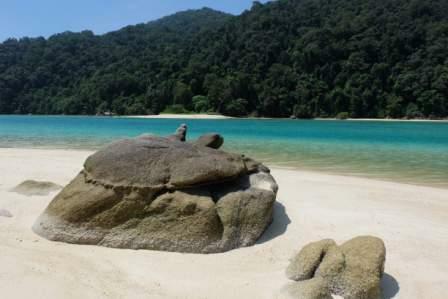 Andaman Discoveries do offer packages range from 1 day up to 3 days, 2 nights to Surin islands. We can help arrange your transfers and accommodations.